Put on your jogging pants and prepare to sweat it out at Veins, a gym in Ispahani Centre, Nungambakkam. You no longer have to invest too much money in a gym, because the yearly membership at Veins starts from INR 9,000. Any decent gym in the city charges INR 15,000 for a yearly membership, and compared to those rates Veins is pretty affordable. 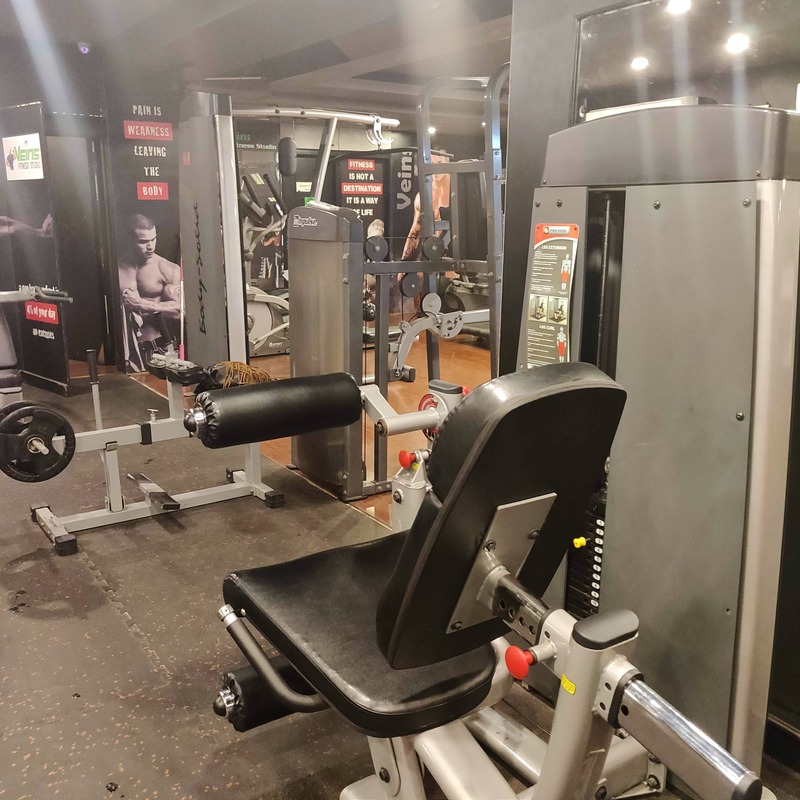 Coming to the gym, it’s located in the basement of Ispahani Centre and they’ve got three roomy chambers for cardio, free weights, and equipment. The cardio section, thought compact, is equipped with five treadmills, four exercise bikes, and four EFX machines. You can get a good full body workout with their squat rack, pull up bar, rowing machine, leg curl, and extension machine, as well as their separate free weights section. The free weights section in Veins is equipped with dumbbells of all weights (which is a bit rare at other gyms, they usually skip from 2kg to 4kg) and a number of resistance bands of varying elasticity. When we dropped by it was pretty much empty, so if you love working out when there’s no crowd, this gym is perfect. You can negotiate with the staff and get a yearly membership starting INR 9,000, so hurry. It can get cramped if it gets crowded.